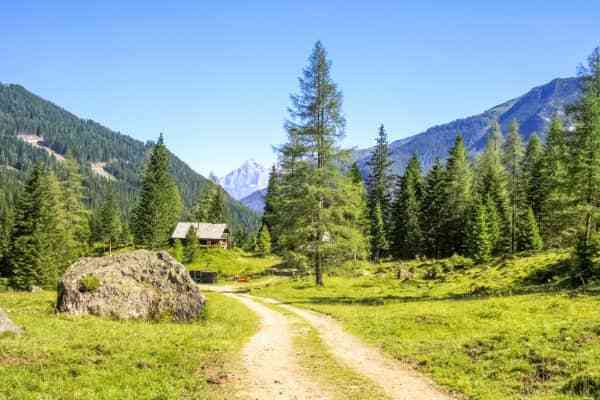 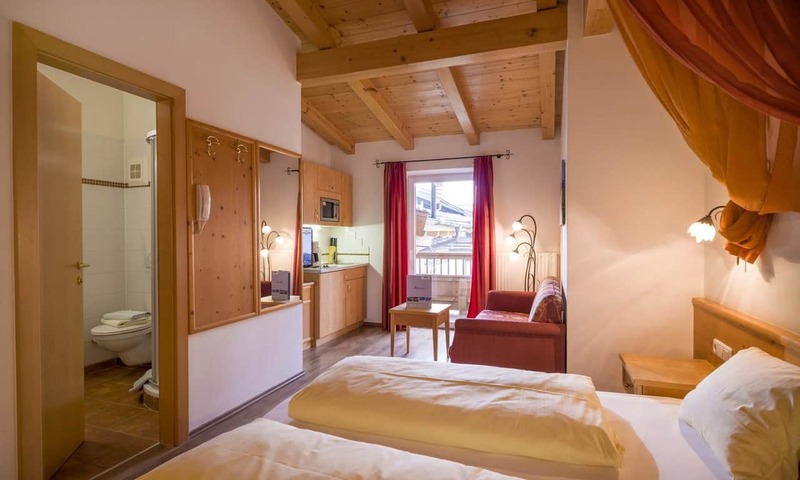 Stay at the lovely Chalet Alpina and enjoy a relaxing Austrian retreat in the beautiful St. Johann in Tirol. 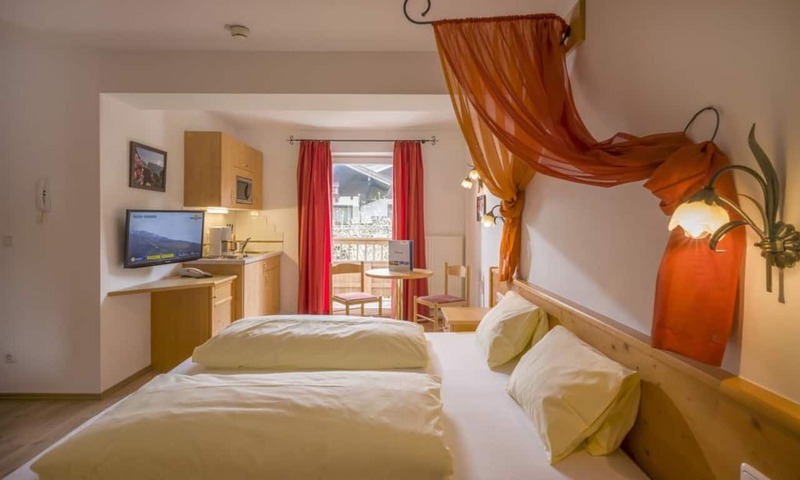 This comfortable accommodation is perfect for groups or families who wish to experience a unique and memorable summer stay in Austria. 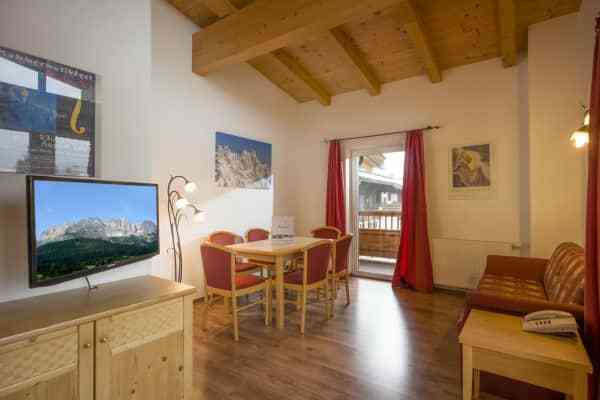 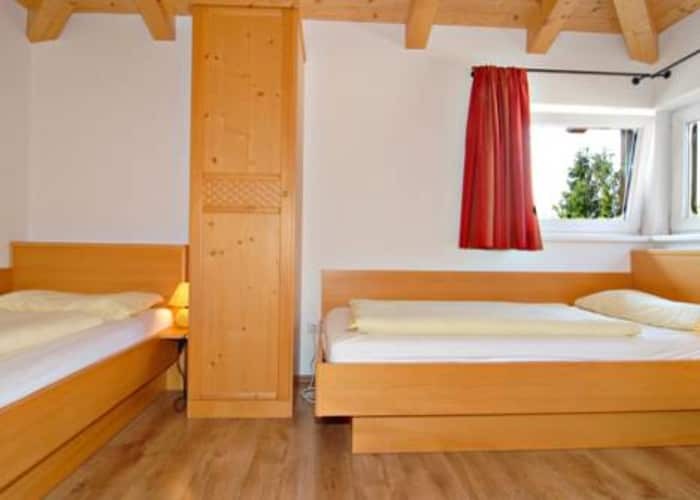 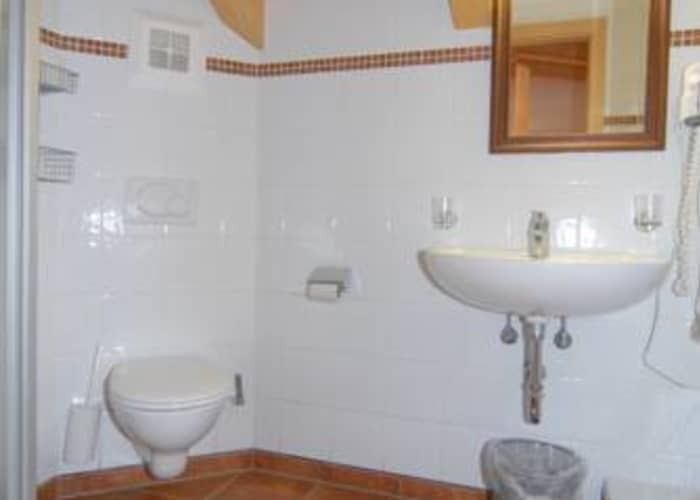 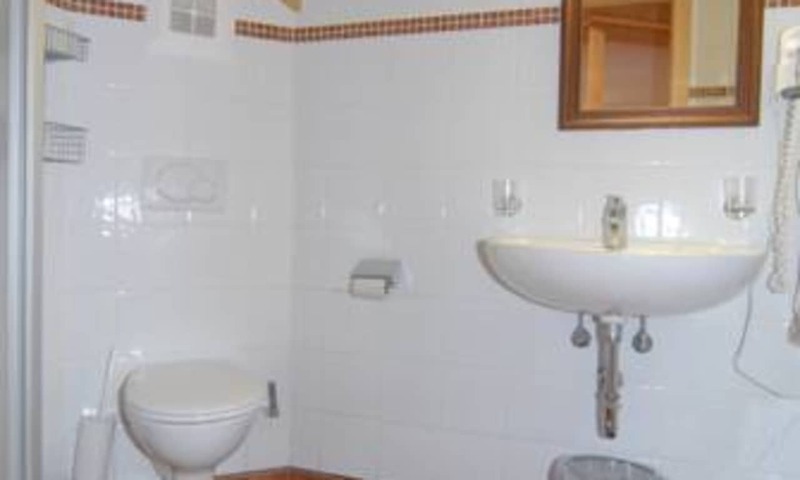 Chalet Alpina consists of a number of self-catering Tyrolean style apartments that are located near the centre of St. Johann in Tirol. 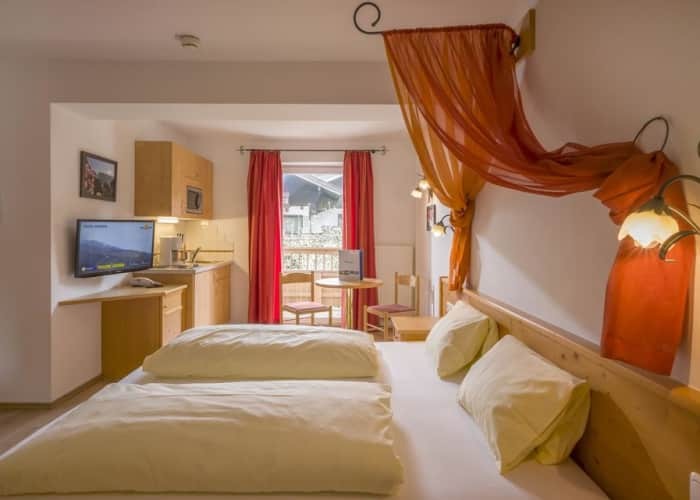 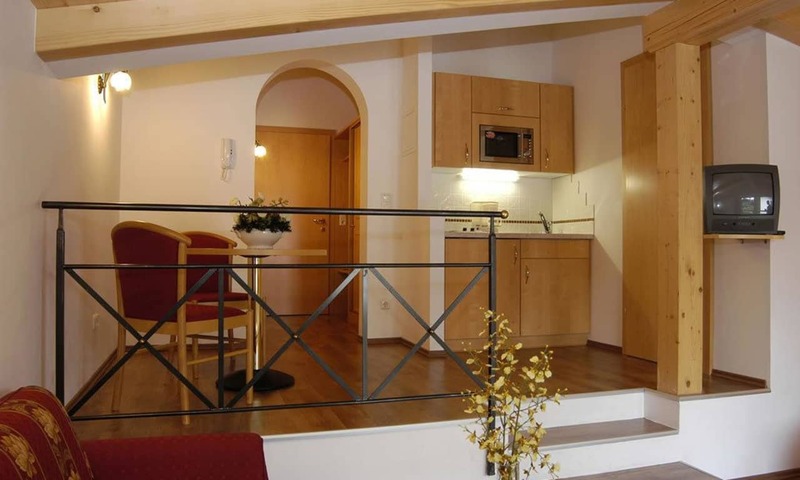 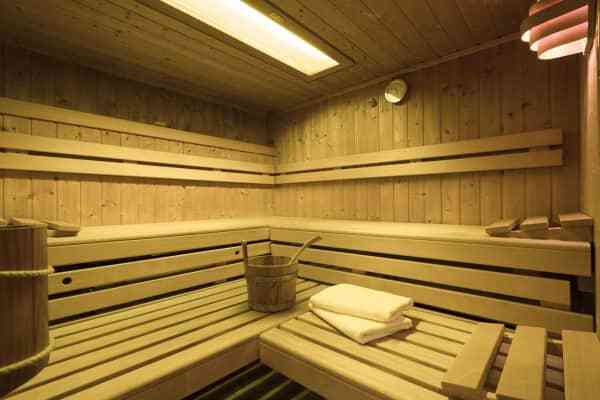 It is an ideal choice for accommodation for those who are looking for good value for money on an unforgettable stay in Austria. 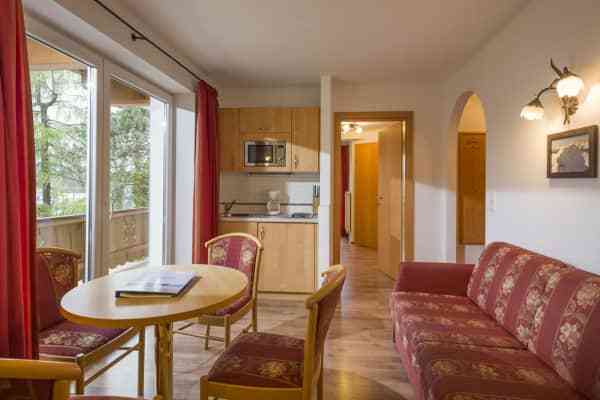 With varying sizes of apartments depending on the size of your party, this accommodation caters for groups and families as well as couples. 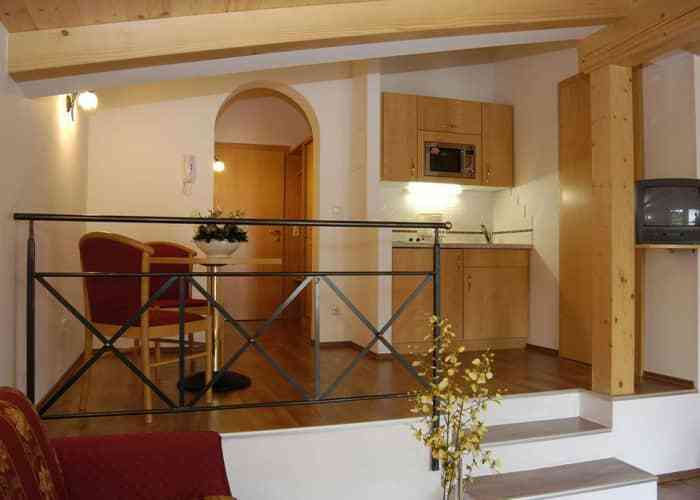 Each apartment includes a well equipped kitchen and dining area, so that you can prepare your own meals here. 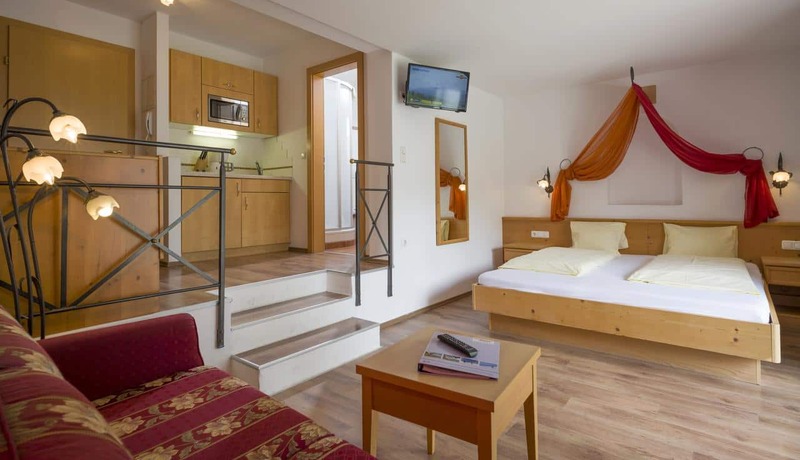 This is a great way to keep costs down but also ensures that you have a great deal of freedom and flexibility during your stay. 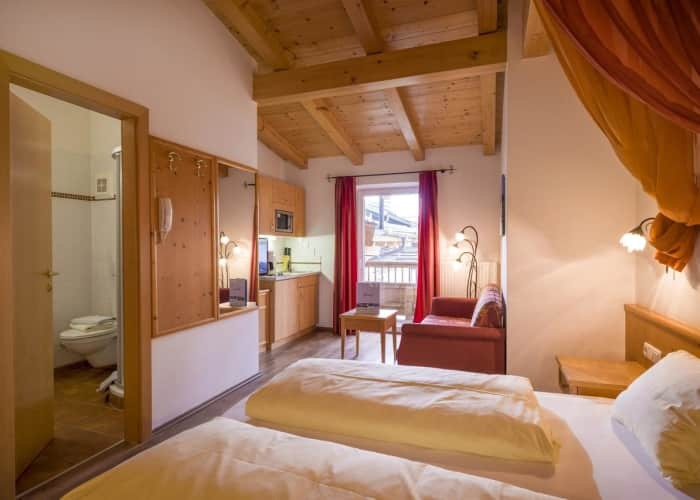 As the Chalet Alpina is the Hotel Tyrol’s sister hotel, guests are welcome to enjoy its spa, steam room and sauna, located just a short walk down the road. 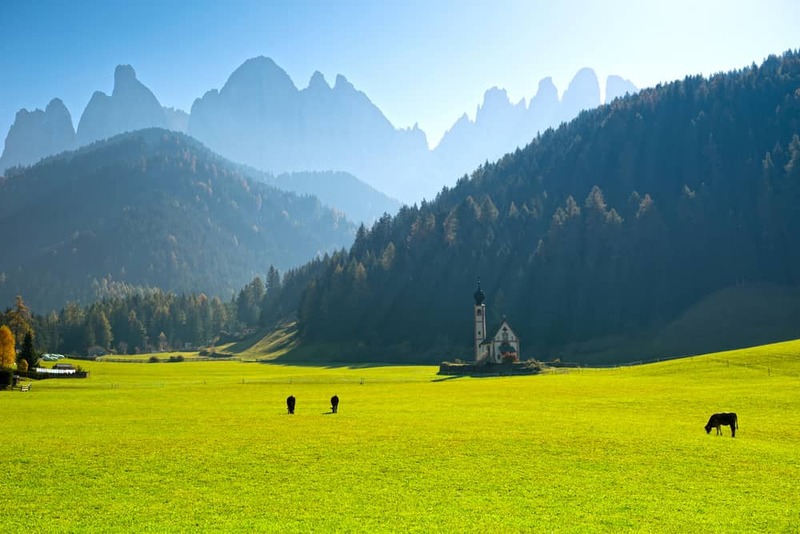 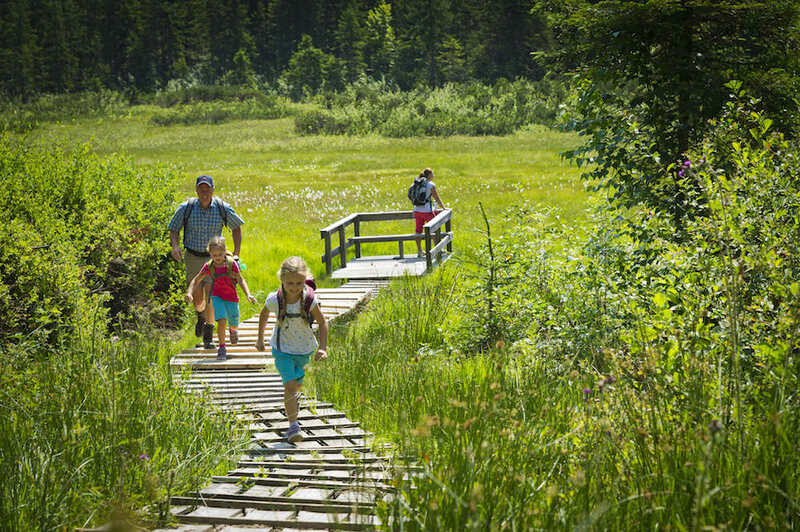 This is a welcome treat if you have spent the days out in the open air being active as the area of St. Johann lends itself so well to. 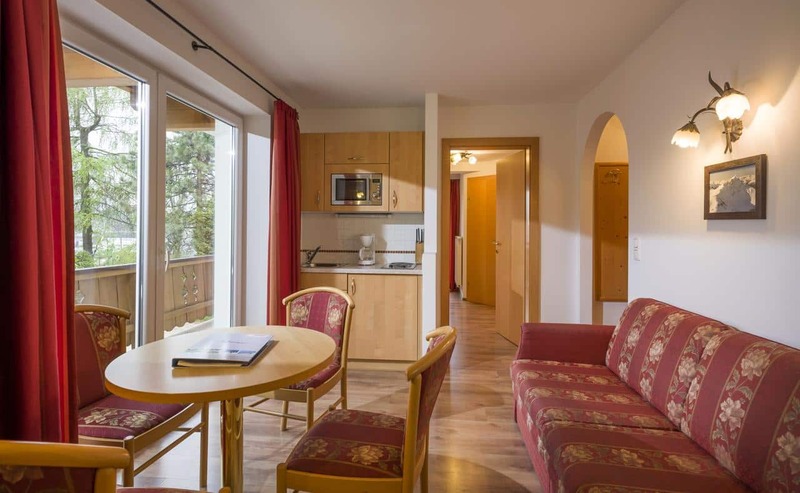 The apartments are in a wonderfully convenient location too, just a 10 minute walk to the resorts centre. 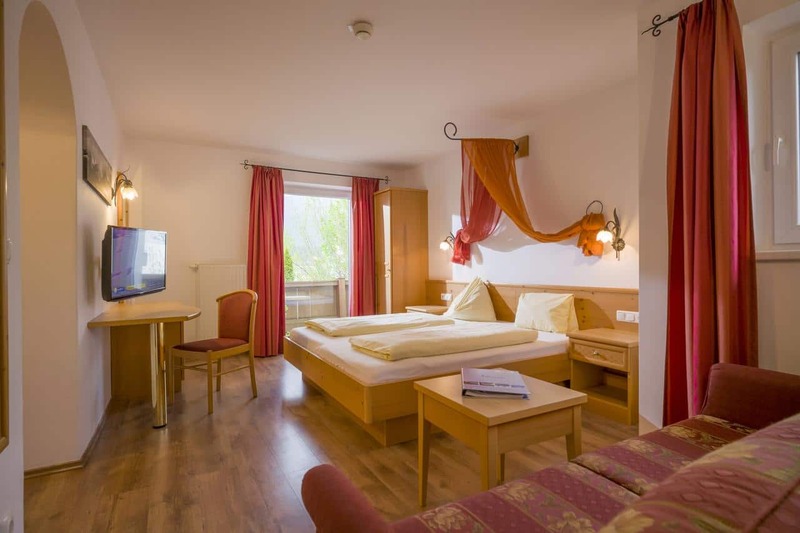 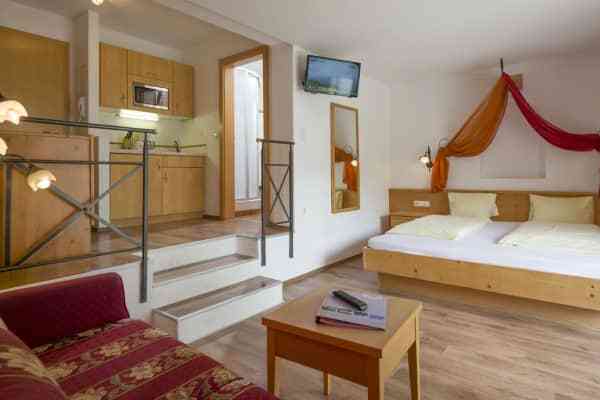 You can make the most of St.Johann’s lively abundance of excellent bars and restaurants, all within walking distance. 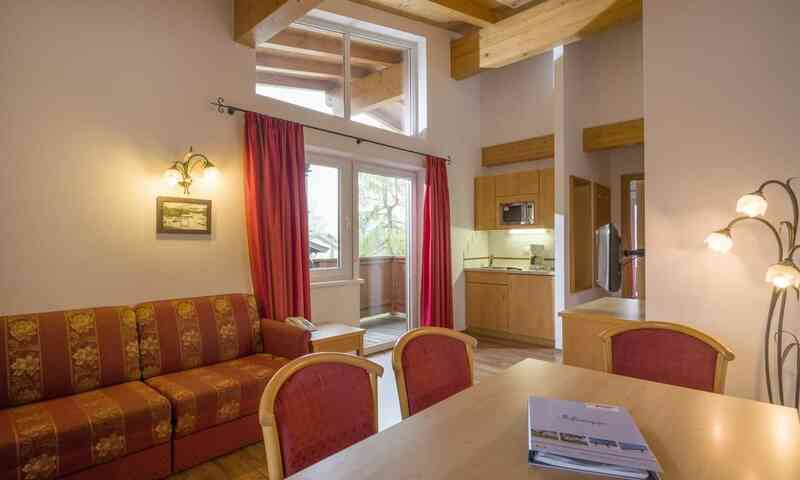 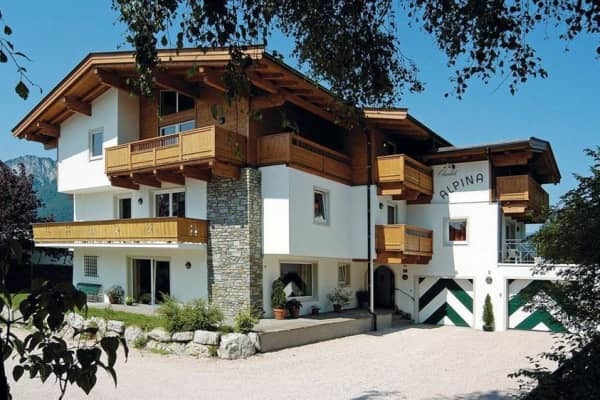 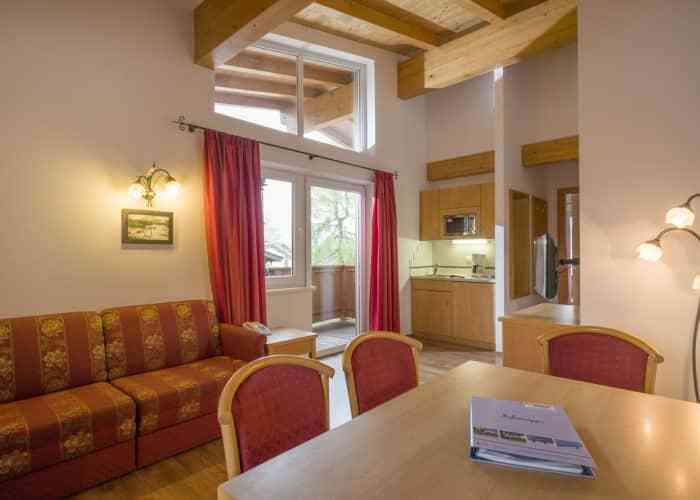 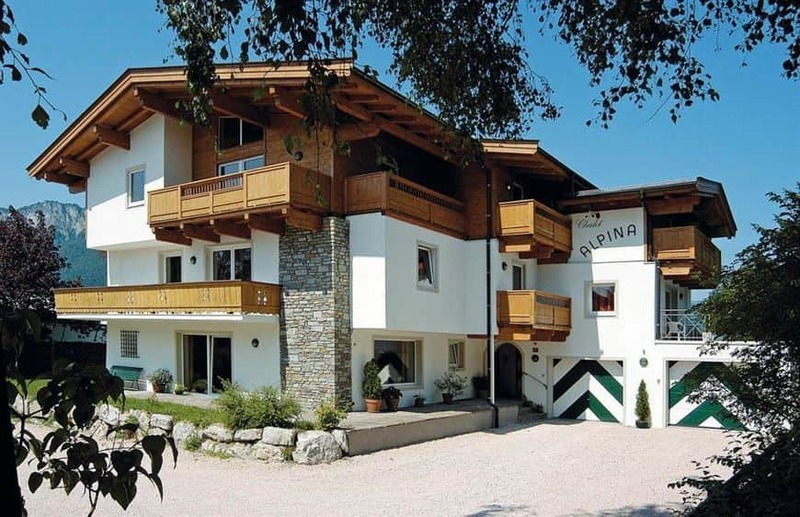 Chalet Alpina is located less than a 10 minute walk from the attractive, bustling centre of St. Johann where you can enjoy the resort's liveliest bars and restaurants.